Deposit & Play £10 with Jackpot Joy and get £50 of Free Bingo! Plus 30 Free Spins on Double Bubble. Tombola Bingo has a welcome bonus for new players, deposit £25 and get £50 Bonus. Leaving you £75 to play with. All of the bingo sites featured here are from highly reputable companies. 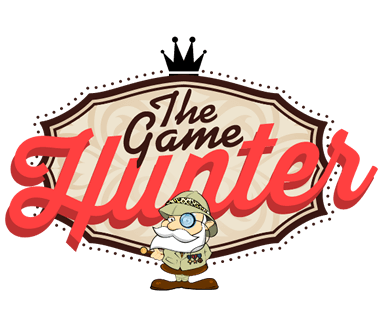 So you can feel confident when choosing one of the sites listed by the Game Hunter that you're picking a great place to play bingo. So what do you need to look for in a bingo site? Firstly look at the new player bonus. Some will double your first deposit, others will give you 100% cash match. So depending on how much you are willing to stake you could really make this work for you. Also, take into account the bingo card prices versus the jackpots available, Jackpot Joy Bingo has some of the cheapest bingo card prices around and some of the biggest jackpots you'll find online. Finally, remember that you're not tied to anyone bingo site, so don't be afraid to shop around, it's also worth noting that many bingo sites offer free bingo cards on certain games during the week, so by joining two or three you could have access to loads of free games for nothing ~ Happy Hunting! Paddy Power Bingo has a New Customer Offer, deposit and spend £10 and get £40 to play with. Sun Bingo has a welcome bonus for new players, spend £10 and play with £40. William Hill Bingo has a generous welcome bonus. Opt in required, x1 per customer, new Bingo customers only. Min £5 stake, max £25 bonus with 4x wagering. Bonus expires in 14 days from chat name registration. Games currency, location, player restrictions & terms apply.